Book Review + Contest Alert: Enter to WIN! 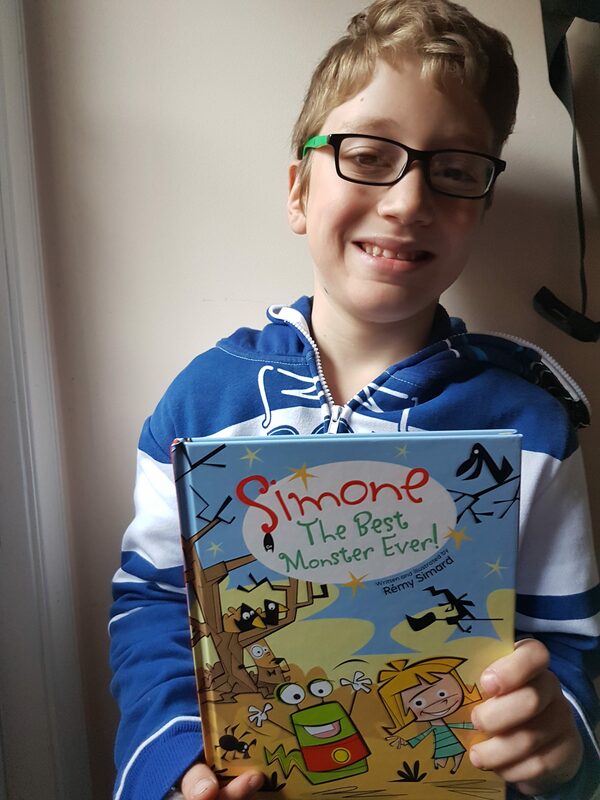 chickaDEE reader Avi just read a book called Simone: The Best The Best Monster Ever by Rémy Simard. Read his review below, then enter to WIN your own copy of this book! Simone: The Best Monster Ever is a graphic novel about two best friends; a monster and a girl. Morris, (the monster), is convinced that Simone, (the girl), is a monster, too! This book is about their adventures together. I liked all the stories in the book because they were very funny. The illustrations were great, too. Simone and Morris experience a lot together and are best friends. Thanks so much for telling us how you liked the book, Avi! Readers, here’s your chance to win your own copy of this book! Just leave a comment telling us the first name of your best friend for a chance to WIN a copy of Simone: The Best The Best Monster Ever. Remember to include your first name and age in your comment. Winners will be chosen by random draw. Click here for full contest rules and regulations. Prizes courtesy of Owlkids. 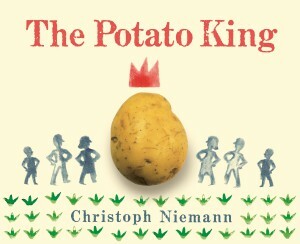 I just read a great book called The Potato King by Christoph Niemann. This book is about a king who wants his subjects to start eating potatoes so they don’t go hungry. The only problem is, the king’s people haven’t tried potatoes, and they’re not excited by the idea of it! The king comes up with a plan to get people to try this newly-discovered vegetable, but will it work? Grab a copy of this book at your local library, bookstore or click here to find out! Or, tell us the name of a food that you’ve recently tried for a chance to WIN a copy of The Potato King! Include your answer and your name and age in the comments section below. One winner will be chosen by random draw and announced on the blog on July 24th, 2015. Full contest rules and regulations can be seen here. Prize courtesy of Owlkids. 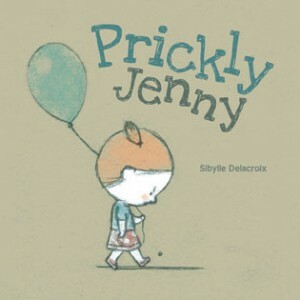 I just read a great book called Prickly Jenny by Sibylle Delacroix from Owlkids. When daddy takes her to the fair, Jenny grumbles and drags her feet. When there’s ice cream for dessert, she doesn’t want it. She also doesn’t want anyone to say nice things about her artwork. Jenny doesn’t know what she wants right now, but she’s sure she will when she’s older. This simple, yet important story makes this book a must-read. Look for Prickly Jenny in your bookstore, library or find it here! 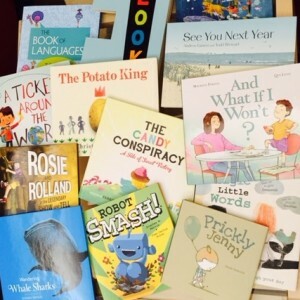 New books for Spring 2015! If you’re looking for some great books, you’ll be happy to hear that the Owlkids 2015 spring list is now available! 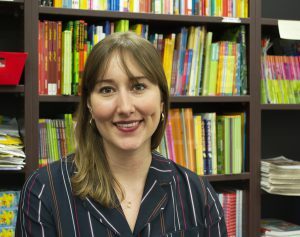 Find out more about these exciting titles here! Which book will you read first? Leave a comment below!